Work with customers is an important and integral part of the business. Attentiveness to customers and improving the work with them are the keys to successful work of the organization. We offer you a client management software that will cope with all challenges. CRM software has a multi-user interface that will help you to restrict access to the database. With this feature, you can view chronicles of the work of each user and client in the software for ERP system. The program for client management is very easy to use. People of different ages and different types of thinking can understand and work with it. The convenient location of the menu makes it easy to navigate menu system, and manage lists. Working with the program for custom management, you have three main menus: modules, directories and reports. Such a simple navigation allows you to conduct a very capacious work and improve accounting with buyers and customers, keeping the register. Everyday work with the clients needs a more precise use of the information. If you will use our customer management system, often you will use the category called counterparties. In this category you will be able to keep a systemized accounting of your customers. The program for CRM system will show you the database, where each client is located in his own edited line and under his individual number. This allows a quick search of the client on any of the fields. You can also use the card system with barcodes, then each customer can be found by the individual code. It will be a complete automation for your organization. In the program for custom automation you will be able very accurately to fill out the information on a customer, divide customers by categories, choose a special price-list for each customer and specify the card number, carry out the keeping of the register of shareholders. Convenient that you can specify in not only the customer’s name, but also the contact person. Specifying the date of birth, you can congratulate them on holidays and maybe give bonuses. By this means, you will show your customers you care. Also. You can manage the customers and contacts. Also, there is a special report that will show you the customer and dates of their birth for a certain period of time. The program for client control can perform calculations with customers, as well as calculations with buyers. Automated accounting system for CRM is a comprehensive approach of customers accounting in any business. A convenient module in the custom relationship management software is mailing or sending. Working with mailing, you can attract more buyers. You can add a telephone number and inform your customers about discounts or congratulate them. Also, it is possible to mail. With our software for CRM database you will not forget your clients. Sending by customer database software has three major categories: errors, mailing and templates. These three sub-module will allow you to work with mailing automatically, and carefully monitor the quality of work in this sphere. You can specify the date, type of recipient, subject and mailing status. Submodule “Error” will show you not only the error code, but also its content and which user has made a mistake, its date and time. Automated control systems allow you not only to work with clients, but also keep an accounting of your employees, to carry out calculations with customers, securities accounting. You will get a special report that will show the work on time of each employee for a certain period of time. You can download a free demo version of the ERP software from our website or by contacting us via e-mail. Purchasing this program you will get an automated work sphere. You can plan your work with customers with the help of our software. Opening a report on work with clients, you will see the work of your employee for a certain period. The program is universal. It is the perfect solution for working with customers, employees and a company! The only thing you need to do is contact us! With the help of erp system you can see the contact details for all customers. Quality control of customer service, automatic maintenance of statistics on the sources of information. The crm system has the possibility of separating user access rights. The crm software includes convenient ways to sort and filter data. ERP software generates reports for any period of time. Client management and the statistics of involved clients. The customer relationship management software includes the entire history of sales and orders, and the whole work history with clients. Customer Management includes the planning of work with clients to a future period. Client management software generates a summary report for any period of time. Customer database software can automatically notify staff when ordered goods arrive. The customer management system includes planning and adding results of all meetings and negotiations. Employees can notify customers about anything through SMS and Emails. The software for custom automation generates a special report called "Sales Funnel" which will showcase the work of every manager in the context of initial contacts with a client and re-cooperation. The software for client control also takes into account the number of invoices, orders and pre-orders, and customers' payments. The ERP system contains complete information on all contracts with customers. CRM software can calculate piecework wages to employees. You can download the ERP software as a demo-version for free. CRM system supports a variety of price list and discount system. 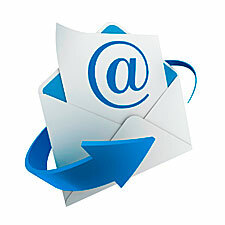 Write us an email if you have any questions about the software of demo-version. The software for client management monitors financial transactions and keeps an accounting of debtors. It is possible to add any additional functionality to the crm database, for example the generation of consolidated financial statements. The customer relationship management software includes a detailed audit of the actions of all users. The client management software has plenty of additional functions.